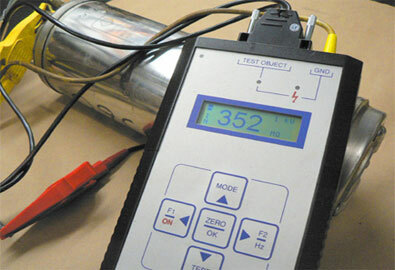 ISE CAN QUICKLY AND COST EFFECTIVELY EVALUATE WELL PUMPS AND MOTORS IN OUR IN-HOUSE LABORATORIES. 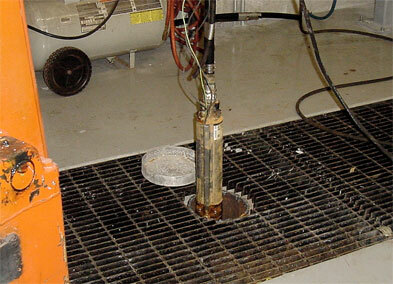 Our submersible well pump testing laboratory allows well pump failure analysis at levels far above typical basic tests. We can determine if blasting, sediment build up, vandalism, lightning, or other causes are responsible for the failure. We have the tools for motion and still infrared imaging photography, and underwater photography of pump, casing, and bore holes. This type of field testing is far superior to simple bench testing for determining the true cause of well pump failiure. Our in-house testing laboratories allow us to connect the failed well pump to sophisticated electronic equipment to conduct megger tests, and other types of tests, under actual operating conditions.